Sometimes, when beginning a certain endeavor, it is important to look at the final destination of what we are hoping to achieve before we set out on the journey. This high and lofty vantage point can help guide and energize us once we have taken the plunge and are in the midst of all the struggles and difficulties that lie in our path to the final destination. A classic book on this by the famous puritan author John Bunyan (1628-1688) is told as an allegorical story in Pilgrim’s Progress. In this story Christian decides that he must make the journey to the Celestial City. The journey he takes and the adventures he encounters while progressing toward the Celestial City make up the story told in the book. If I had to sum up the whole book in one statement it would be: Count the Cost—Then Pay the Price. This same principle carries over to gardening. Why garden anyway? Food is very much available and fairly cheap all around us. A lot of what we can buy is much more convenient to prepare than cooking from scratch with garden produce. Besides that, a garden is actually quite a bit of work. First you have to prepare the soil, then fertilize it, then plant it, then water and weed it. Lastly the produce must be harvested and preserved for future use. Why go though all the bother? Is it really worth the effort? These are questions and issues that each of us must answer on our own and according to our own circumstances. In response to those questions we really have to ask ourselves what are some of our long-term goals in life. Two responses pertaining to gardening quickly come to mind; 1) to live long and healthy and, 2) to raise a healthy family. Can a garden help achieve these goals? Yes, but not necessarily. The linkage between human health and food has been known for a long time and written about extensively. What hasn’t been covered as well is the tremendous variation that exists between low-grade produce and top-quality produce. Inferior produce has low total dissolved sugars, has poor nutrient density, and doesn’t taste good. It is unable to confer good health and energy to the people eating it. Furthermore the plant growing inferior produce transmits an electro-magnetic frequency that is in the frequency range for destructive insects calling them to come and eat lunch. Top-quality produce on the other hand has a high level of total dissolved sugars, has excellent nutrient density, and tastes great. The plants emit a frequency that insects cannot tune into and if they did make the mistake of eating sweet produce the sugars will turn to alcohol, and in the absence of a liver, cause the insect to experience diarrhea unto death. This type of food will confer health and energy when eaten. In order for us to live long and healthy and have healthy families, the production of top-quality herbs, fruits, and vegetables must be our number one goal for our gardens. The truth is that our foods vary enormously in value, and some of them aren’t worth eating, as food. For example, vegetation grown in one part of the country may assay 1,100 parts, per billion, of iodine, as against 20 in that grown elsewhere. Processed milk has run anywhere from 362 parts, per million, of iodine and 127 of iron, down to nothing. In addition to low mineral density our typical supermarket foods have also been variously subjected to hybridization, pesticide sprays, genetic modification, and processing. These just add insult to the injury of low mineralization of the food. 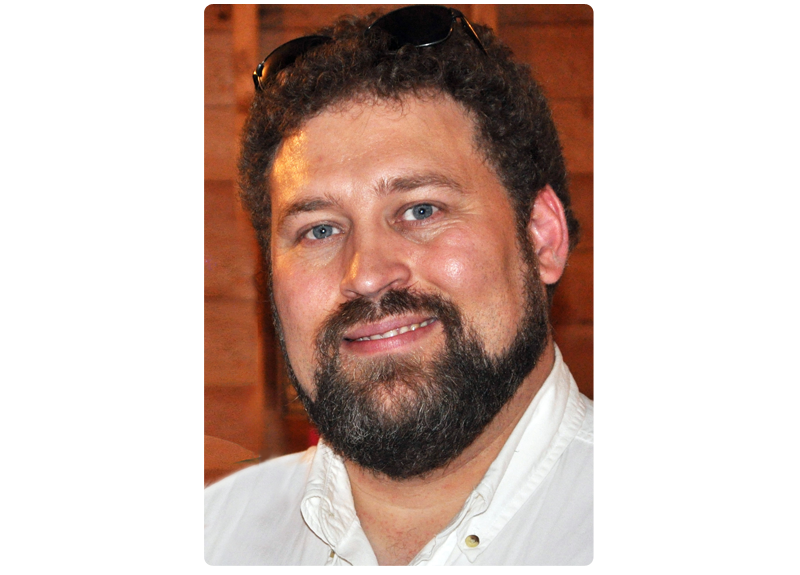 Dr. Carey Reams, an agricultural and human health consultant, discovered a cheap, easy, and efficient method of determining crop quality. He found that minerals in the food give energy to people. In the deepest sense he taught that minerals are actually the carriers of energy. This led him to state that you need minerals not for the elements themselves but for the energy associated with these elements. He also discovered that a rise in plant sugars as measured on a refractometer indicated a corresponding rise in mineral density. 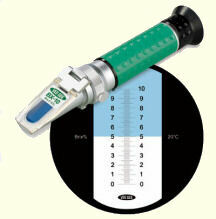 The units of a refractometer are measured as % sucrose by weight (Brix°). This started the Brix=Quality movement that has gone around the world. The general rule is that the higher the brix value the higher the quality. Enclosed with this article is a crop-specific comparison chart for brix readings Dr. Reams developed called the Refractive Index of Crop Juices. Using a refractometer is easy: put a couple of drops of sap juice on the glass prism, close the lid and read the number from the scale where the light and dark fields intersect. So how do we tie this all back to a family garden? A garden, via plants, uses solar energy, atmospheric gasses, and soil minerals to create energy packages for human consumption. These energy packages vary according to the genetic traits of the plants. The largest sphere of influence we have to make quality produce is the soil. By tillage and fertilization we can increase or decrease crop quality. The second area we can influence the crop is through feeding the plant directly through the foliage, which is known as foliar feeding. By understanding how to balance soil minerals and foliar feeding a crop we can grow high quality produce far superior to what the supermarkets typically offer. By raising and consuming garden produce high in minerals and energy we can have a positive affect on our own health and energy. Have you noticed how sickly Americans seem to be getting? Sometime ago I called a local clinic/hospital. Most of the Doctors were completely booked a month out for non-emergency appointments. Doctors specializing in internal medicine (adult diseases) are in great demand. According to Reams; All disease is the result of a mineral deficiency. While America has become a fast food nation we have also become a very sick and obese nation. Dr. Arden Andersen, a student of Reams and well-known speaker, maintains that there is no such thing as junk food—either its junk or its food, it can’t be both. The high price of modern living and convenience cooking comes at a cost to our long-term health. 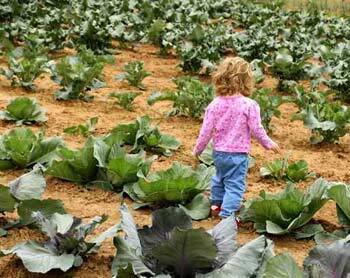 It is here we see how valuable a garden producing truly healthy food really is. From the 74th Congress 2nd Section Senate Document #264, a reprint of “Modern Miracle Men” Presented by Rex Beach, June 1936. The Composition of Foods, Ministry of Agriculture, Fisheries and Foods and the Royal Society of Chemistry, UK. *This Chart was originally developed by Dr. Carey Reams.